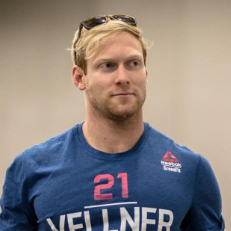 Currently a full time chiropractic student in Toronto, Canada, I have an extensive sports background and have been competing in Crossfit since 2013. I made it to the games for the first time in 2015 on Team Crossfit Plateau 2 and have since been back in 2016, 2017 and 2018 to compete as an individual and placing 3rd, 3rd and 2nd respectively. Crossfit has been a great way for me to challenge myself and escape from my studies while also being a great outlet for my competitiveness. In 2019 I am competing to be crowned the fittest on Earth.